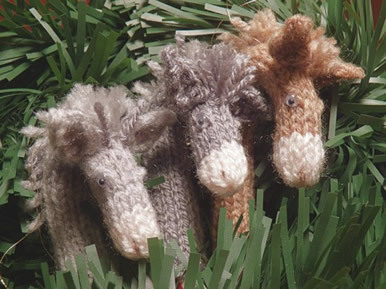 Designed and crafted exclusively for the Sanctuary - download our free pdf pattern to knit and crochet your own Candy Cane Donkeys. 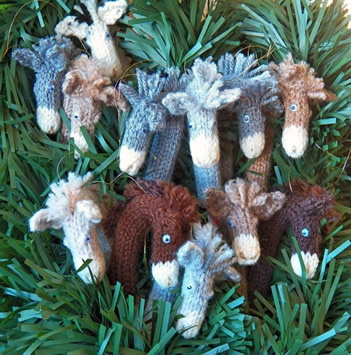 Each donkey is perfect as a Christmas ornament or a gift. 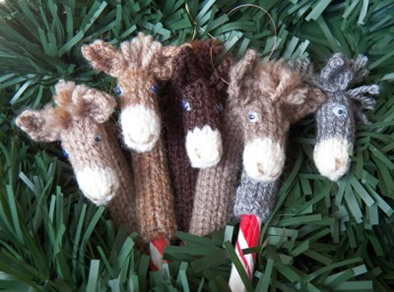 Make just one or a whole herd.
. . . We hope you enjoy making our Candy Cane Donkeys . 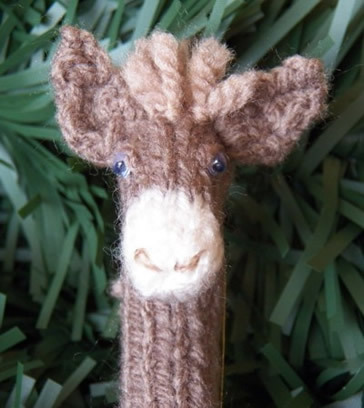 . .
Our Candy Cane Donkey pattern is free to download but please consider making a donation to Sathya Sai Sanctuary . . . Please note, these candy cane donkeys were designed as ornaments or decorations. They are not toys.